April 2013 - The Munsters are back! 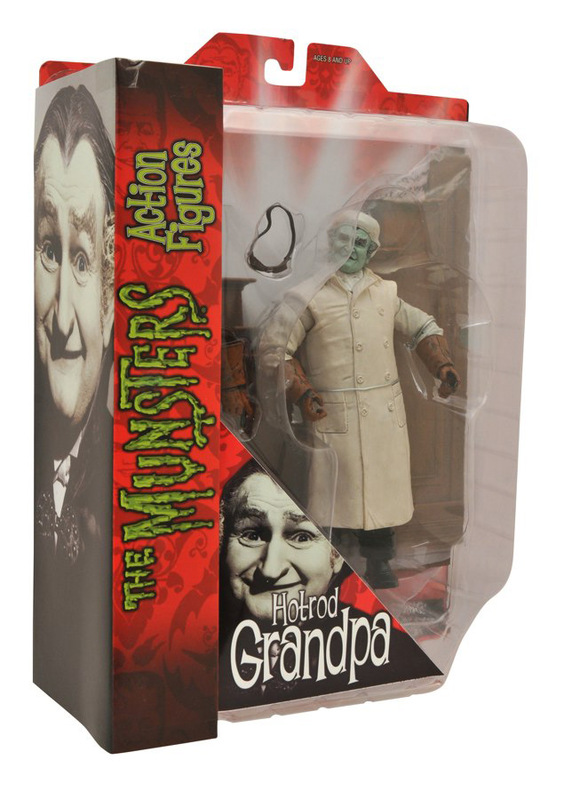 Following up on two successful series of 7-inch action figures based on the classic TV show, Diamond Select Toys has created a third offering of America's favorite monster family! In the "Hotrod" series, Herman, Grandpa and Lily are back in all-new, episode-specific outfits, with a new family member (Uncle Gilbert) and a new build-an-accessory (the family staircase with Spot)! 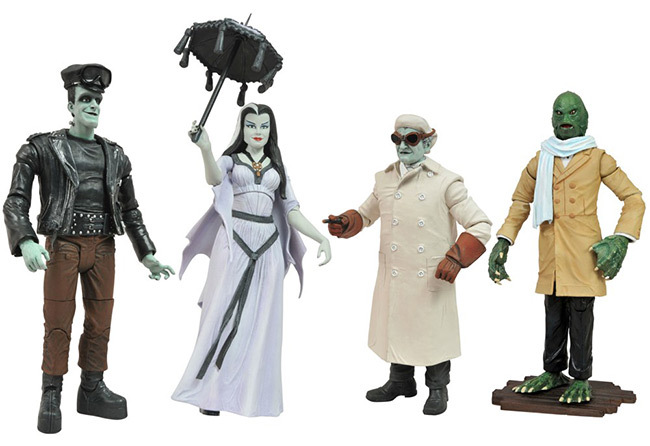 Collect all four to build another part of 1313 Mockingbird Lane! Sculpted by Jean St. Jean! 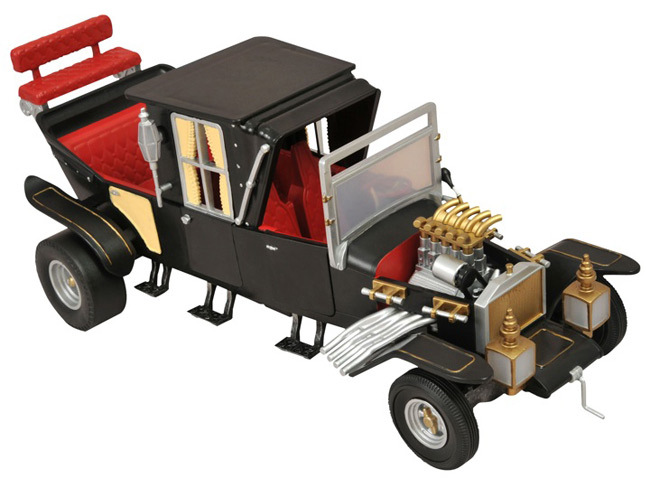 November 20, 2012 - The Munsters were one of the more unusual families in American television history, and their family car was just as unusual as they were! 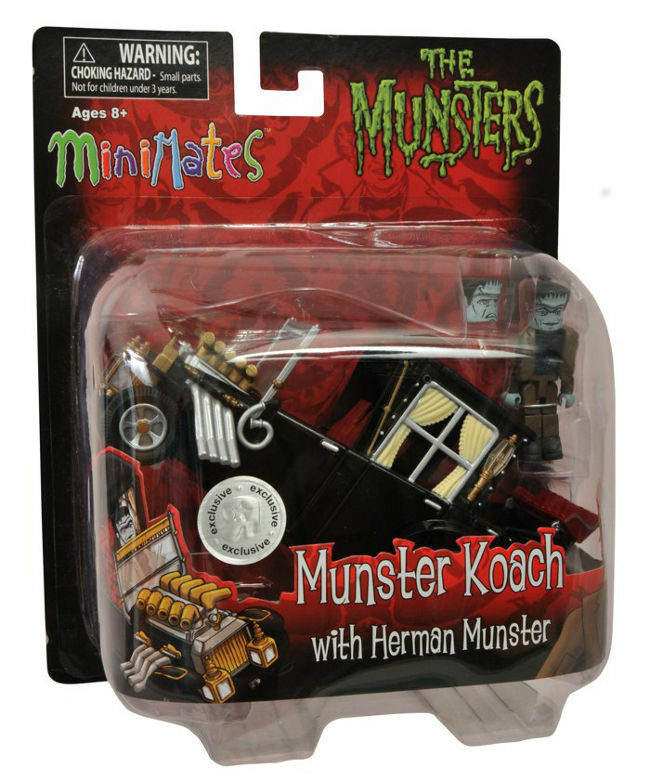 While the Munsters fused Transylvania with Suburbia, the Munster Koach fused a hearse with a hot rod, combining speed, size and solemnity into one classy package! Was this the world's first hybrid vehicle? 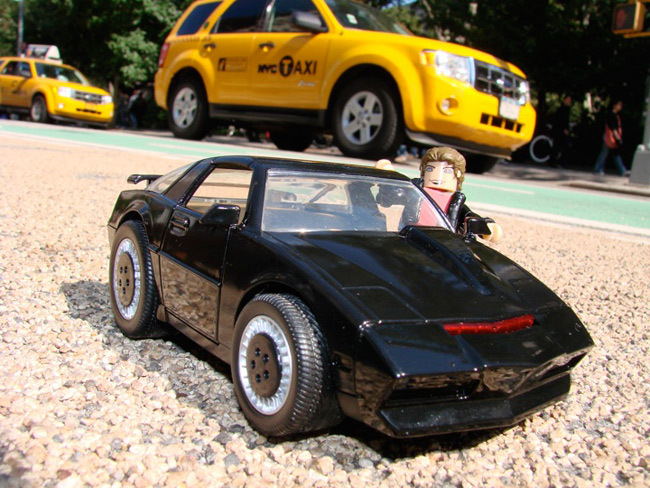 Well, Diamond Select Toys is celebrating the Koach's place in car culture with two different Minimates vehicles -- one in color at Toys "R" Us and one in glorious black-and-white at comic shops and specialty stores. 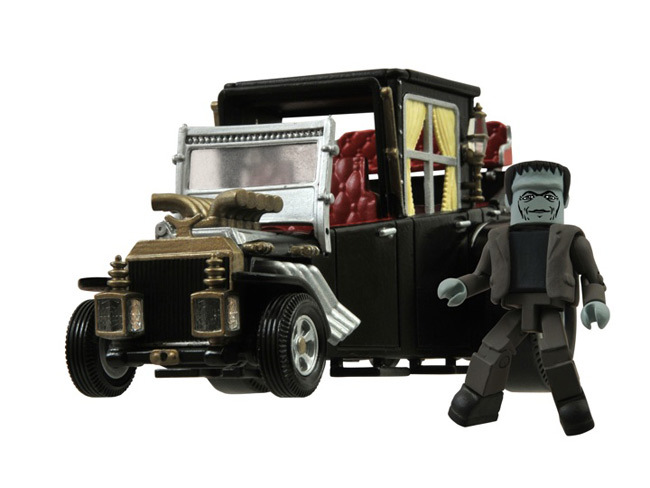 Both come with a Minimate of Herman Munster, but while the color version comes with an extra sad head, the monochrome edition comes wearing his famous drag-racing outfit! Check out the packaging pics below, and pick them both up today! November 1, 2012 - Happy Halloween! Over the past few years, Diamond Select has established itself as the preeminent purveyor of horror toys, and this Halloween they're pulling out all the stops! In addition to a black-and-white Walking Dead Minimates two-pack that's exclusively available at comic stores participating in Halloween ComicFest, they have a horde of haunted merchandise that's available in comic shops everywhere! 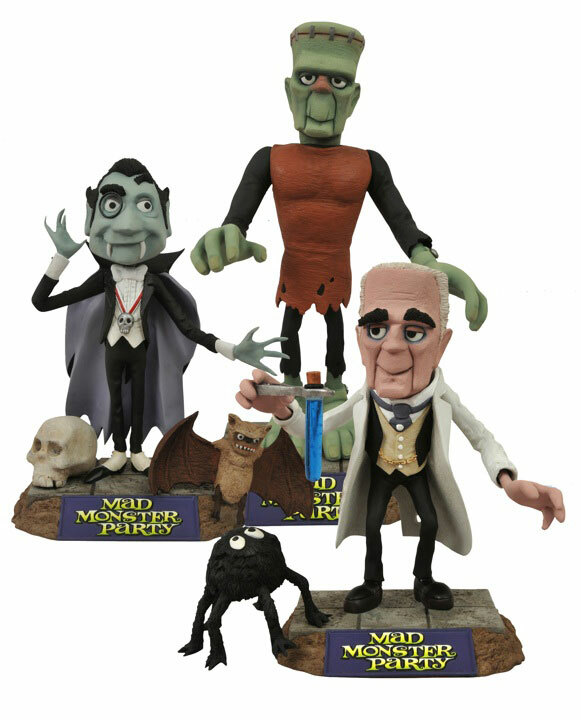 October 23, 2012 - One more week until Halloween, and Diamond Select Toys has turned up the terror on New Toy Day! This week, they're shipping plenty of horror-themed items to comic shops across America, as well as a new issue of the Battle Beasts comic book from IDW, so check in with your local store to see what they're getting! 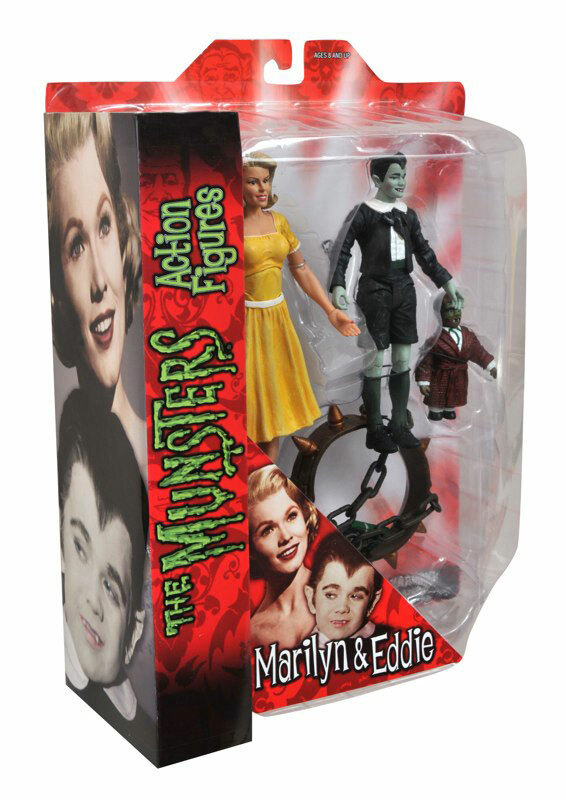 Eddie and Marilyn Munster Are the Next Two Munsters Toys from DST! 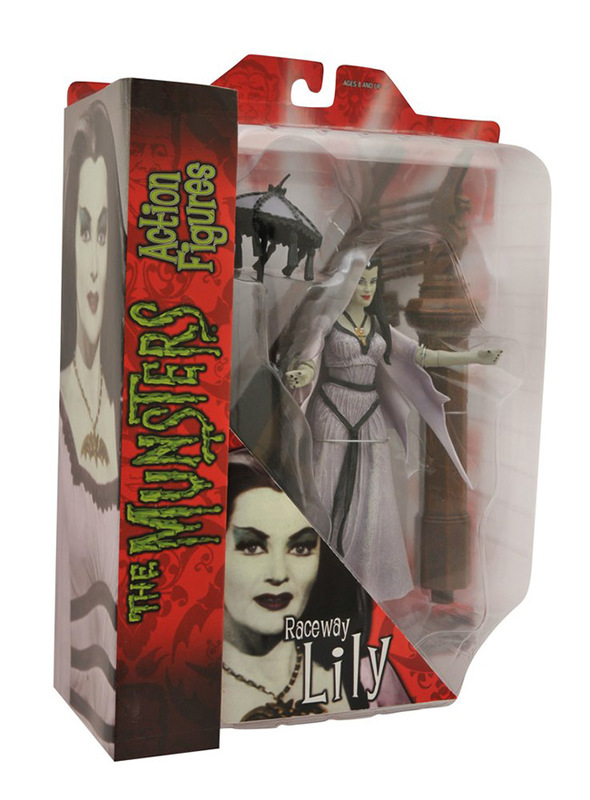 January 2012 - By now, Munster fans have likely picked up the first three Munsters action figures from Diamond Select Toys: Herman, Lily and Grandpa. Well, your family is about to get bigger! 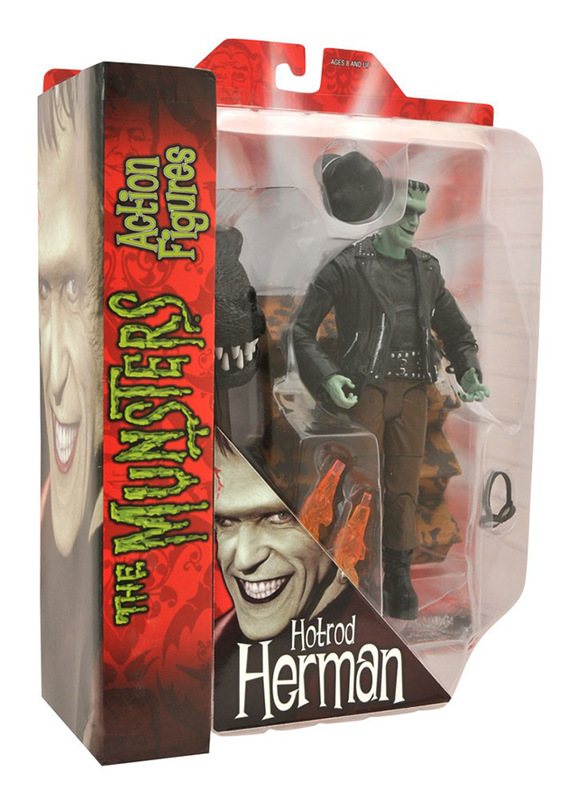 Lily and Herman's werewolf son Eddie Munster and his older cousin Marilyn Munster are the next two family members to arrive, and they'll be sharing a two-pack when they hit stores this summer! 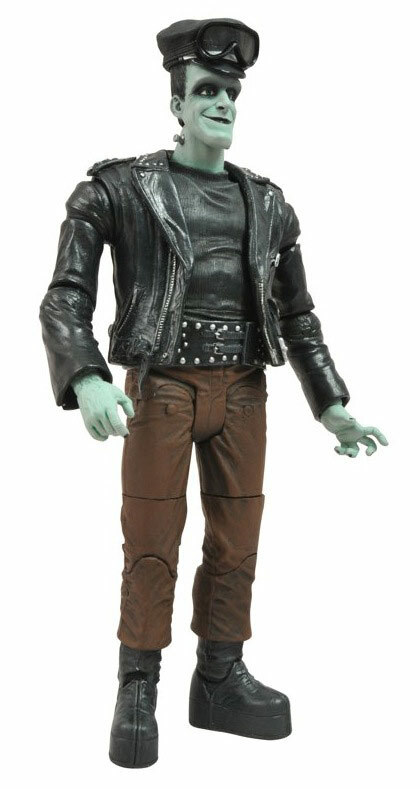 Sculpted by Jean St. Jean, the figures are in the same 7-inch scale as the previous figures, and are based on the likenesses of actors Butch Patrick and Pat Priest. Plus, they come with two keen accessories -- Eddie's stuffed animal Wolfy and the collar for their giant dragon, Spot! Pre-order your set from your local comic shop or online retailer today!